Planning for a kitchen garden in your home is always an excellent idea. Herb kitchen garden makes your space more interesting and gives the aura of lightness to your rooms. With the aroma of fresh herbs all around, the place becomes lively and fresh. 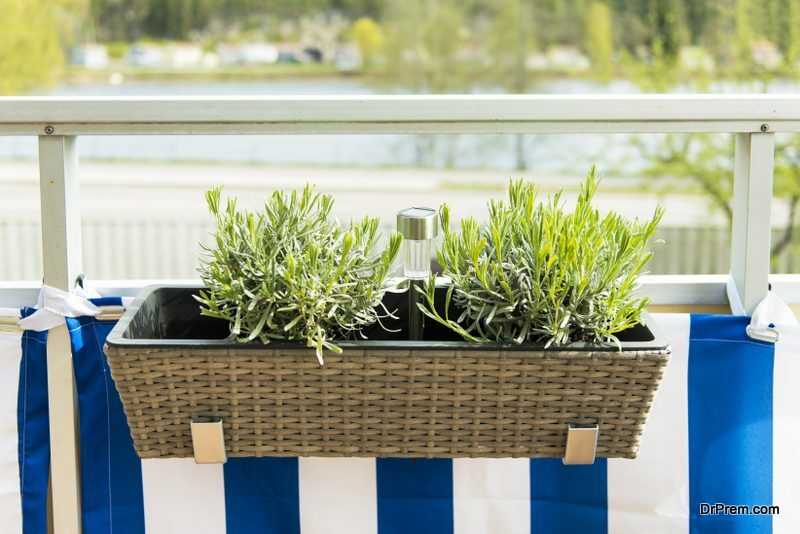 Are you looking for some of the new ideas of growing fresh herbs this time of the year? Or do you need some interesting indoor herb garden design ideas for your home? This article can help you incorporate some of them in your kitchen to get the best and innovative herb garden for the kitchen. Growing of fresh herbs and plants doesn’t mean that you need plenty of places. Yes, you can grow fresh vegetable and herbs in limited spaces by following some of the genius ideas. Design ideas for your kitchen herb are a bit challenging as there is always an issue of space. To beat this problem, take help of the vertical gardening. 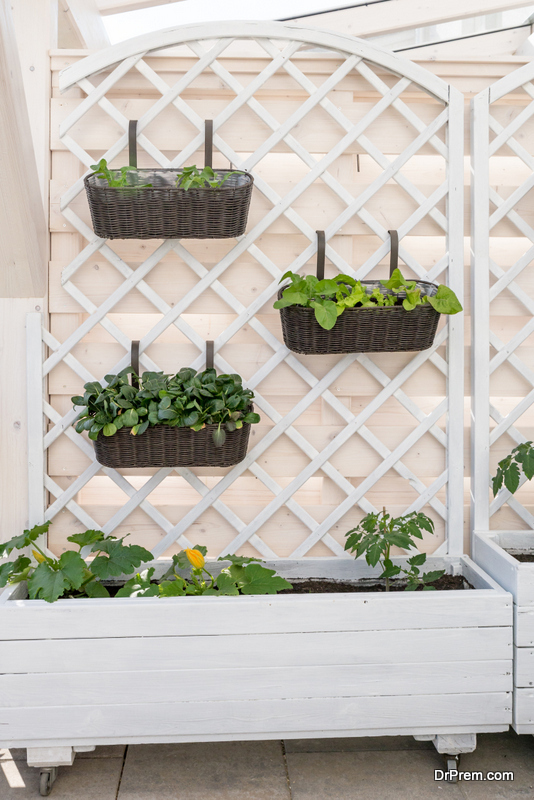 To make this garden, you don’t have to buy costly products and materials; you can use your old bookshelves, shoe racks, and some objects holders to make this garden beautiful and keep more pots and plants. Convert this furniture into a beautiful vertical planter. Take the DIY ideas from the various website from which you can very easily make your vertical planter without spending much. If you have a balcony and you use balcony gardener, use railing planters and hanging planters can be made really interesting. You can also use the same idea in your kitchen. Why not create an easy herb garden using some recycled old bottles? These bottles are 8 inches tall and you can have it by using wine bottle also. Yes, some interesting design was created by using these wine bottles. It’s the size which you can easily place near your window, in an empty space so that your herbs receive a good light and enough fresh air. If you want, it can be best arranged using some rack or frame. Choose a place near your window and install a nice stylish rack to give some style statement to your herbs vases or if you are already having someplace left, then you can easily place it. 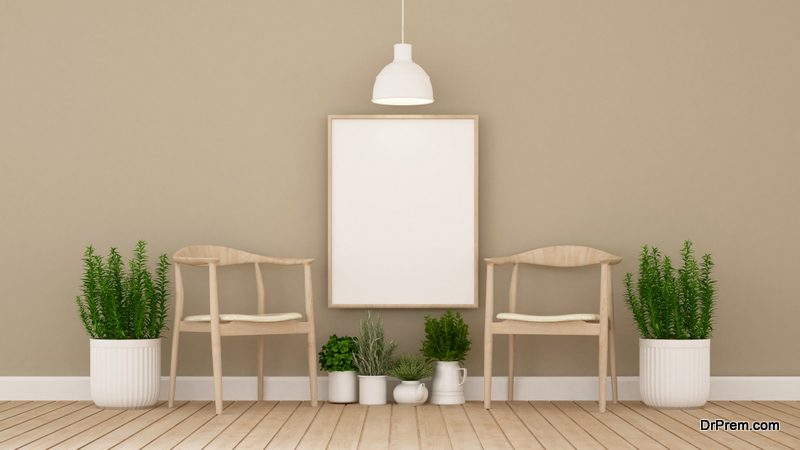 This is really interesting and it will definitely add some color, beauty to your kitchen area and its décor. Planting some edible flower garden is just a good option. There are some really nice edible flowers which can grow at indoor and use it in your cooking too. Some nice fresh herbs and flowers like marigold, calendula, viola, and nasturtiums can be used in garnishing, in your salad or you can make nice sharbat (juices) from it. What’s more soothing then using the fresh flowers and herbs to include in your cooking? The fresh flowers and herbs not only make your cooking interesting and tasty but also spread an aroma all rounds. Not only this, when these flowers grow in your kitchen, it makes your whole house scent amazing and fresh. Hanging basket in your kitchen looks very beautiful and also saves spaces. You can grow many herbs, vegetable, and plants in those cute hanging basket. Yes, don’t cast out the idea of growing veggies and herbs in these baskets as herbs can be grown in these hanging baskets successfully. Yes, you can grow whatever herbs you want to. Create a happy space by choosing one side of your kitchen. You can buy from many varieties of hanging pots which is easily available to get your veggies to breed in it. Some different, color, shapes and sizes are available for you and you can choose it according to your kitchen space. Keep in mind to maintain its hygiene, always take very good care of watering it and also allow some fresh air whenever it is possible. 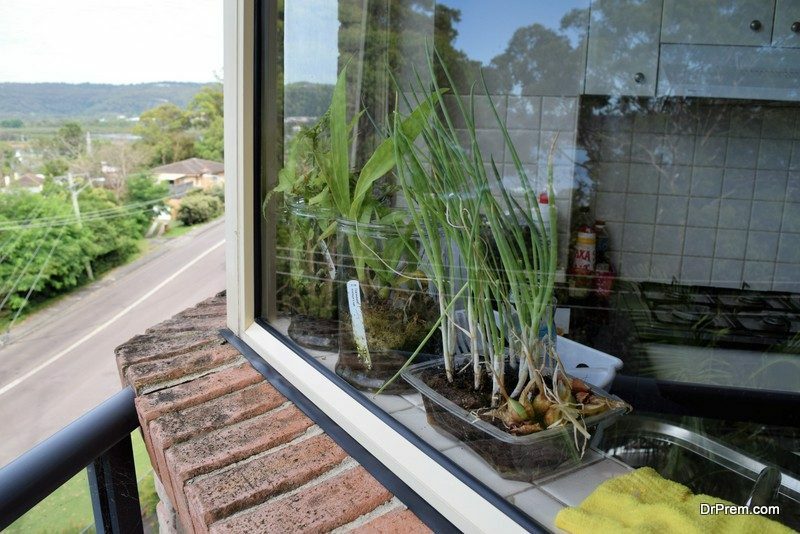 The window box garden is the most effective and most practical ways to have in your kitchen. It is easy to create and you need only some of the item like a wooden box, some soil, and seeds. These decorating ideas for the kitchen with an indoor herb garden is best suited to grow herbs. Think of the herbs you want to grow in your kitchen garden. The most commonly used herbs in your kitchen are cilantro, thyme, basil, dill, parsley, oregano etc. Select your favorite herbs which you want to grow. Window box garden can be made very interesting and beautiful. You can decorate it with my coloring it or painting with different color and pattern. Make beautiful design and pattern. If you want, you can give it a polka dot pattern or patterned painting. One of the latest Indoor herb garden ideas for the kitchen is the smart herb garden idea which comes in a kit and this has a self-controlled system. It provides your herb garden with all the water, air and nutrients which your plant requires to prosper. If you don’t have enough lights in your kitchen, try one of these smart herb garden kitchens. This system takes care of your plants. Use basil cartridge that comes with the system or refills it with your own plant and herbs. You only have to fill the container with water once in a month and your herb garden is ready to rock. This is the best idea for some busy cook, working people and for the beginners too who wants to have fresh herbs growing around them and enjoy fresh herbs years round.